Home Software Convert HTML to PDF online for Free.More Accurate! 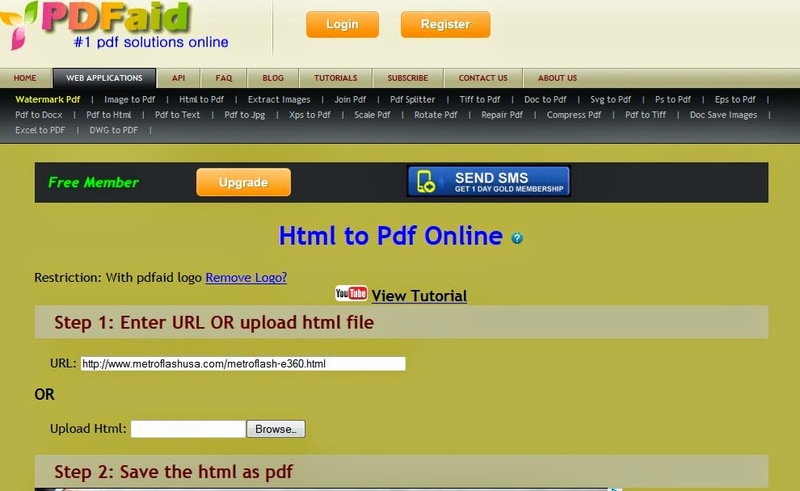 Convert HTML to PDF online for Free.More Accurate! Wanted to convert any html page to a pdf file? That's not a problem .There are lots of tools in the web that offers free html to pdf conversion that don't charge even a single penny.But I highly recommend PDFaid, a site that offers bunch of PDF solutions. PDFAid can convert html pages or web urls to pdf.All you have to do is to enter any webpage url or upload the html file from your PC and it will be converted to a pdf file with amazing accuracy. All the hyperlinks, form elements etc will be converted to their pdf equivalents as well. I use PDFaid most of the time when creating an image of my client site instead of using screenshot tool which can't really capture a lengthy page. After converting to PDF, I combine them using Photoshop then exported to JPEG, I then have a high quality site image that don't get pixelated.